greetings in the name of our Lord jesus Christ.Hope this mail meets you in good health. I am Ojukwu Damisa,a knight presently living in nigeria and i am looking forward to God to start my own little ministry over here where the less previledged children can come to know God. I am writing this mail to ask for any little help you might be able to render.I am planning a crusade to hold 2nd week of november. I hope you respond to this mail and God bless you. God bless you, and I hope this email finds you well? Please can you explain to me where you found my email address? Thanks for your quick response to my mail.How are you today and your pastoral work? May God continue to strenghten you. I got your address from a guestbook which i can't even remember the exact guestbook while i was surfing the net and the Holy spirit ministered to me to write you this is the reason i wrote you. God bless you and how are you today? Thank you for your explanation of where you found my details. Your letter has come to the right place. As you know, my name is Father Ted Crilley of the Church of The Holy Cow. We have nearly 300 churches in our ministry. I must say that you are working for a wonderful cause, and you are to be blessed for passing along the word of God. A little about our ministry: We are fundamental Christians and Animalistic constortians. This means that we worship Almighty God as all Christians do, but we also hold certain animals in very high regards, as in the Indian faith, we regard the cow as the holiest of God's holy creatures, hence out church is named The Church of The Holy Cow. Every member who joins our ministry has a cow branded with their name, this shows their faith in our ministry and also saves this wonderful creature from being slaughtered for food. The member's cow becomes adopted into the church and is saved from stress and fear. All adopted cows are keep on our 200,000 acre ranch in Florida. I think I may be able to help you. You see, my ministry regularly makes charitable donations to worthy causes, and after speaking with my committee members, we are of the opinion that your cause is indeed very worthy, and if you will allow us we would like to make a donation to your cause to help you in seeing your dream of a ministry become a reality. Hopefully you will also agree to forward the word of God more easily. Your case seems very worthwhile, and whilst we cannot donate very large amounts because we have already made many successful donations this year. The donation committee has agreed that we would be able to send you the small sum of US $274,330 (two hundred and seventy four thousand, three hundred and thirty dollars). We are usually able to donate larger amounts but at the moment are funds are quite limited as we are at the end of our financial year. This money would be sent to you in a manner of your choosing, and hopefully it would enable you to forward the word of God much more easily. 1. The Church of The Holy Cow will send you a agreement form, which you will have to complete and sign. 2. On receipt of the form, we will require a photographs of you, or a trusted representative as proof of identity. You will have to get a NEW photographs taken, holding two symbol of ours. The two symbols we need you to hold are a logo of our church and bottle or carton of milk (the name of our church). This proves that the person in the photograph is genuine. Passport or other photographs will NOT be accepted. If you agree to the two conditions above, we will attach the agreement form for you to complete, and then after that we will explain to you what type of photograph we need from you. Please do not send a photograph until we have explained how we want the photograph to be taken. On receipt of a SATISFACTORY photograph, we will immediately forward the $274,330.00 to you in a manner of your choice. Please do not send the photograph until the donation committee have informed me how they would like it to be posed. Please let me know ASAP if you are interested in my offer Mr.Damisa, and I will forward you the agreement for your signature ASAP. Thanks for your mail. Infact i am very happy that your ministry will help me in this cause and it will be my joy to send whatever passport or photographs to you. This is a photograph of one of our smaller churches, which we opened last month. This is the logo of The Church of The Holy Cow. This is the agreement form. First you will need to complete and sign the attached agreement form (damisaagreement.jpg). 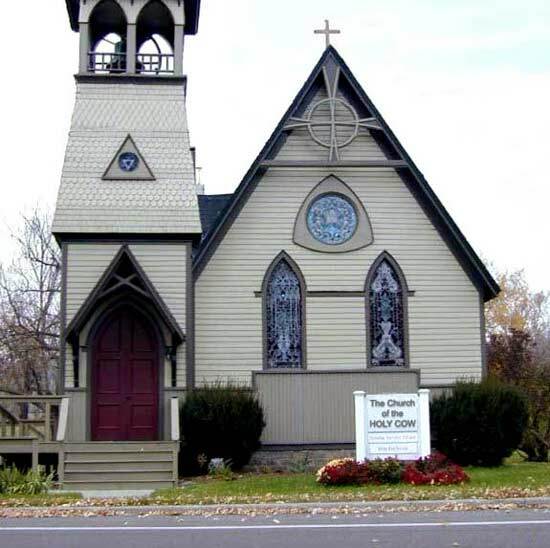 You will need to print out the church logo as large as you can (holycowlogo.jpg). Then you must find either a BOTTLE OF MILK or a CARTON OF MILK. 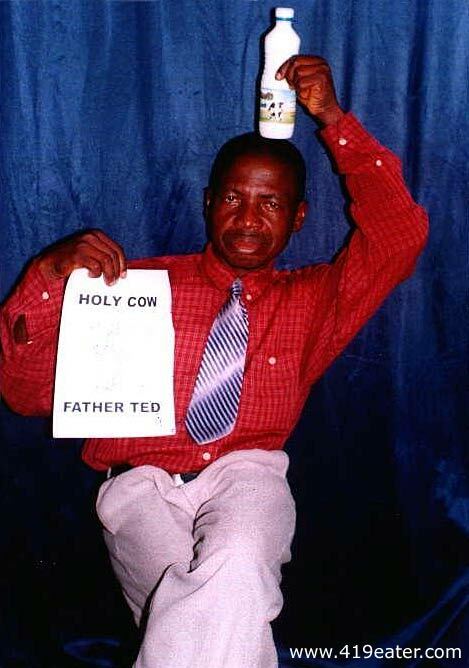 Sit in a chair and place the bottle or carton of milk ON YOUR HEAD and also hold the picture of the CHURCH LOGO. Then get someone to take a photograph of you in this pose. One you have had the photograph taken of yourself with the MILK ON YOUR HEAD and HOLDING THE LOGO, please send it back to me. 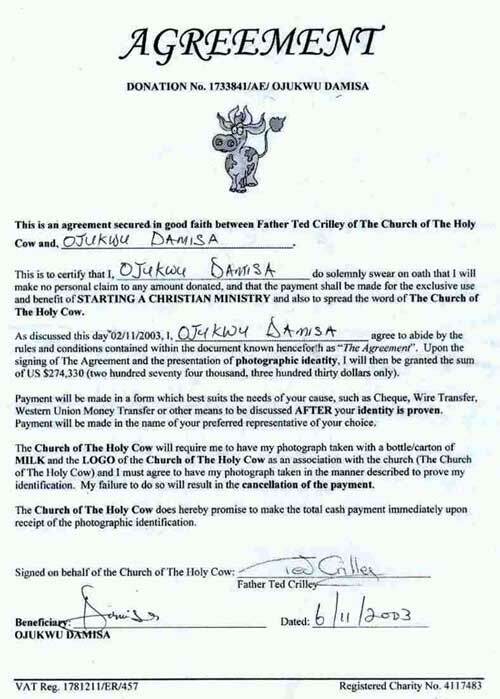 On receipt of a SATISFACTORY photograph and completed agreement form, the church will IMMEDIATELY forward full payment to you in the manner of your choosing. PLEASE NOTE: It is VERY IMPORTANT that the photograph you send is LARGE and CLEAR. This is so as to avoid any possibility of forgery. I realise of course that the request may seem strange to you Mr. Damisa, but it is because of this that the donation committee will know that the picture is 100% genuine, after all, it may be possible for a dishonest person to find a photograph of a man with a bottle of milk, but it would be impossible to find one in the way we ask. As you can understand, because of the large amount of money that we will be donating, we have to be extremely careful with our security procedure to make sure that only trusted partners receive the cash. Thank you for make it easier for me as i am not too good at internet.God in his infinite mercy will continue to bless you and your church amen. Father Ted how do i send the picture to you?is it by attachment will that be okay by you?.if that will do please do let me know immediately. Please send the picture as an attachment. Please note that it is very important that the image you send is LARGE and CLEAR so that the photograph can be verified and 100% real. You must ensure our logo is very clear on the photograph. The committee (seven people) will view the image you send, and if it is passed as acceptable and genuine then the money can be awarded to you ASAP. Thanks for the mail.I will take the photograph and send it to you as soon as possible. With this donation i am sure i will definately meet you one day. May God bless you and your ministry. Blessings to you, and thank you for your email. Please be aware that our Donation Committee are meeting for the final time this month very shortly. I will need your photograph ASAP or there may be a delay of 30 days before your donation can be discussed again. Please let me know when you think that you will be able to send the signed agreement and the photograph so that I may tell the Donation Committee when to expect it. The photograph and the agreement will be ready by thursday or friday this week. Thank you and God bless. The following in the attachment is the agreement and the picture.The picture is clear but after scanning it the church LOGO is not as clear on the picture as the original copy. With the fund your ministry is donating i am planning to establish a center where the less previledged can come and feel at home and to teach them more about the HOLY COW CHURCH once you enlighten me more about your church. I am very sure people will be willing to learn about your ministry and i pray that once the donation is granted i will get to meet you one day. Olease respond as soon as you recieve the picture and the agreement. Respond if you have gotten the picture and the agreement. Thank you for your email but I am afraid The Church of The Holy Cow does not open on Fridays (It is our day of rest). I shall answer you email as soon as I return to my office. Please i will like to recieve the brochure and other informations relating to the Church of the Holy Cow. Father Ted, If i can get this donation soon i am planning of building a shelter for the less previledged and children so that smile can be on their faces for the new year, and also to buy a big bus that will help carry these people around the villages when coming to the ministry.The plan is also to introduce them to the church of the Holy Cow as soon as i get the brochure and have learned more about your ministry. My apologies for the late reply. I have been away on church business and this has taken me longer than expected. I would like to thank you very much for the photograph you have sent to me, and I am pleased to tell you that the Donation Committee have accepted it. We shall make the payment to you very shortly. Please will you forward me the beneficiary name for the payment, and also tell me how you would like to receive the payment? Damisa, there is one last thing I will need to request from you. As I said before, I have been away on church business, and it was because we have had to process our donations in a different way. According to our ministry leader, the reverend Vincent Price, some church funds have been sent to the wrong people, so unfortunately, it is required that before we can send you a payment that you need to scan for me a HAND WRITTEN letters to thanks the committee for their donation. I have attached the text that I suggest you write. Also, please put on the end of the letter the name and address of the person who is to receive the payment. Damisa, please ensure that this letter is HAND WRITTEN and then scan the letter to us. Please ensure that the scanned image is large, and that the writing can be very clearly read. On receipt of the hand written letter, and the name and address of the payee, we shall forward the payment to you immediately. How are you and the church of the Holy Cow. I have sent you the hand written letter and the account informations which the fund should be transfered but have not heard from you. Hope the fund will still be transfered to me so that i can begin the work over here. On behalf of Father Ted I send my apologies for his late reply. Unfortunately Father Ted has been quite ill for the last few days. He has Saturday Night Fever and has been confined to bed. I am told he will be recovered in the next 2-3 days and he has told me he will contact you then. Hope there is no problem i have not heard from you. Thanks for your mail. God bless you. How is your health? hope you are now better? I will wish you quick recovery. I have started to gather some people to inform them about the Church of the Holy Cow and they are very excited about it. It is my sad duty to inform you that Father Ted Crilley passed away in the early hours of yesterday morning. It seems his old body was too weak to fight the Saturday Night Fever he was suffering, and he died peacefully in his sleep. I am very sorry to bring you such bad news. I note that Father Ted accepted your photograph which you sent on the 6th of November. Father Ted should not have accepted the photograph as our church logo was not clear. The rules of the donation state that BOTH images of must be clear, this is not the case with your image. Unfortunately Father Ted made a mistake in accepting that image so you will need to get a new one sent to us before we can issue the payment to you. I of course realise that there may be a problem for you to get a clear image of our logo, so I will make another suggestion which should result in a suitable photograph. Please signal your agreement to have another photograph taken and I will explain a more suitable pose to use in the photograph. Once your new photograph is received then I have full authority to issue the payment to you immediately. It is very sad to hear of the demise of father ted crilley. may his soul rest in perfect peace. I thought i would get to meet him one day. Tell me how you will like the photograph taken. It would be best for you not to use our logo again as this may not appear clearly on the photograph, and I do not want you to waste your time trying to take a photograph that may not appear correctly. Here is a better plan: Sit in a chair, then take two bottles of MILK. 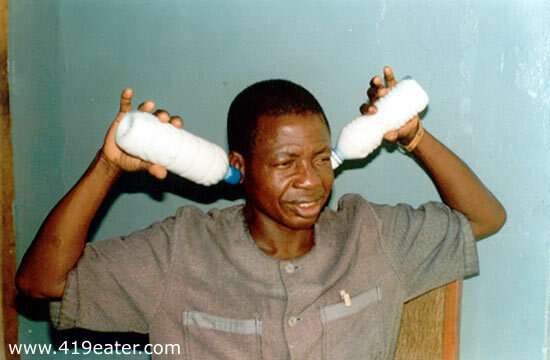 Place the bottles of milk to each ear (the left and right) and hold them in such a position so that it looks like you are pouring the milt into your ears. Please get someone to photograph you in this pose and then send it to me for verification. As before, the request may seem strange, but it is this very thing that will make the photograph impossible for a unholy person to forge. I must stress that the image must be very large and clear. Please do not delay matters by sending a small image. Small and unclear images will not be accepted. 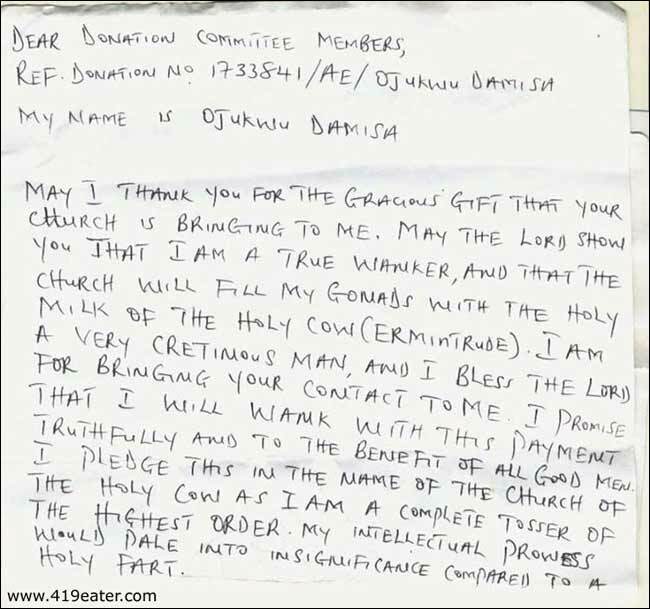 I wish you well with your endeavour Mr. Damisa and I look forward to receiving your image very soon. Thank you for your quick response. I will want to verify one more thing .Do I only take the photograph with two bottle of milk or do i take it with the image of the church also as i will not want to make any mistake. Thank you for being sensible enough to check with me. It is good to see that you are making a good effort to proceed correctly. I will explain a little more clearly for you. 2. Hold a bottle of MILK in your RIGHT hand. 3. Hold a bottle of MILK in your LEFT hand. 4. Hold one bottle to your RIGHT ear so that it looks like you are pouring it in your RIGHT ear. 4. Hold the other bottle to your LEFT ear so that it looks like you are pouring it in your LEFT ear. Have your photograph taken in this position. I hope that explanation is clear for you Mr. Damisa? There is no need for you to show the church logo, but if you can find a way to display the logo at the same time then I am sure the donation committee will look on this very favourably. Thanks for your mail. I will have the photograph ready by nextweek monday. God bless you and the church. Below in the attachment is my picture. Sadly, though I replied to him, Damisa never got back in touch with me.